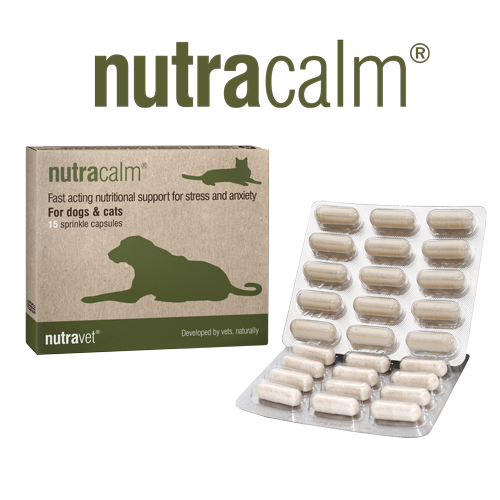 A natural fast acting (1-2 hrs) veterinary strength calming product for anxious and stressed pets that helps reduce unwanted or unruly behaviour. GABA - is an important neurotransmitter in the brain and is responsible for relaxing the nervous system. L-Theanine - is an amino acid component of Green Tea and is involved in Dopamine neurotransmitter function. It has been shown to have a calming effect in dogs and cats. Capsules to be either opened and sprinkled on food or given whole by mouth. For optimal benefit administer capsule(s) between 1-2 hours before the desired effect is required.